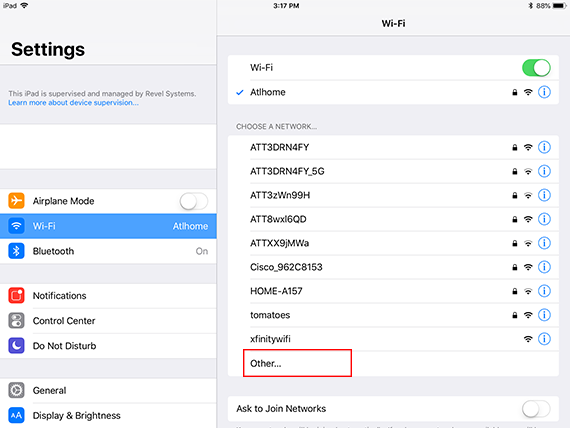 When your POS station connects to a WiFi network other than the Revel Systems network, your iPad is not able to communicate with other devices such as printers, card swipes, barcode scanners, etc. 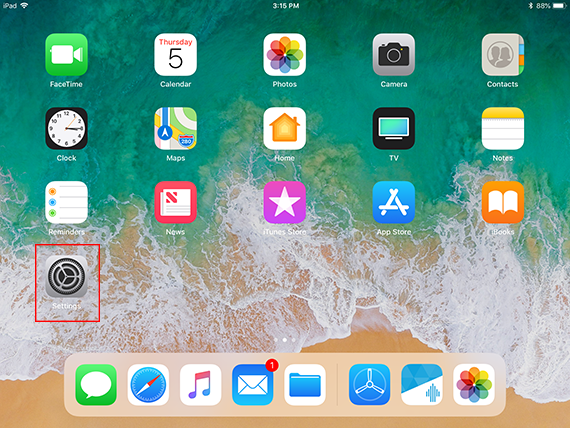 If you find that your iPad POS is unable to communicate, you will need to reconnect it to the Revel network. Let's take a look at how to do this from your iPad. Note: Make sure your iPad is updated to the most current version prior to following these instructions. As of the date of this article, the current version is iOS 11. 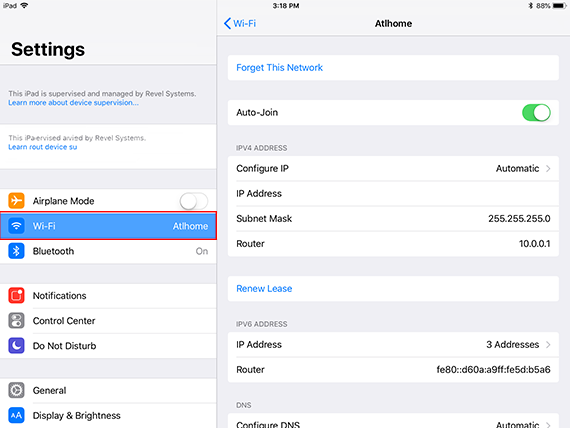 Your iPad should automatically switch back to the rev+establishment or revx network. If it connects to another non-Revel Wi-Fi network, repeat the step above until it does connect. Note: Once the iPad connects to the Revel network, you will need to set the IP Address to Static. Contact the Revel Support team for the information needed to enter the Static IP in the configuration screen. 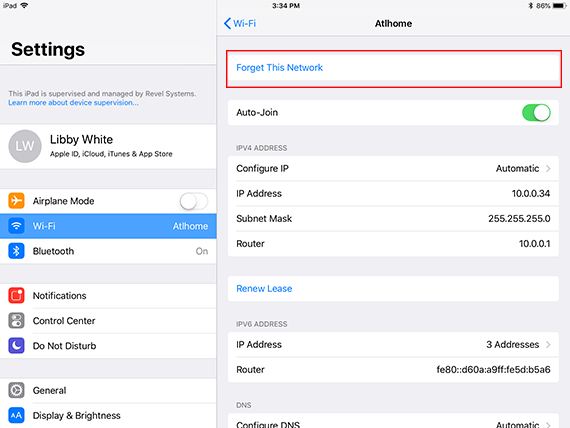 Sometimes, your iPad will not connect to the Revel Wi-Fi network no matter how many times you forget other networks. Last, enter your Revel network password in the space provided. Note: If you do not know your network password, contact Revel Support for assistance. Click the Join link and you should connect to the Revel Wi-Fi.